Every employee could check attendance record in TimeTec Cloud, if he is given access by the administrator. 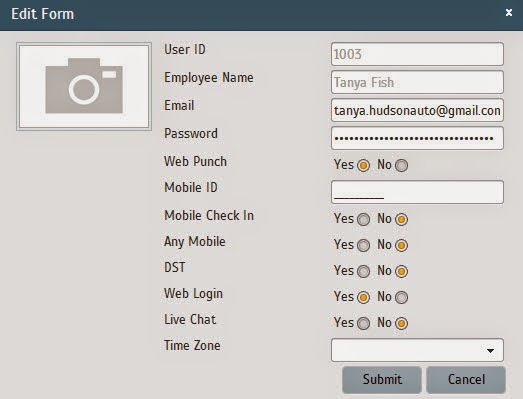 Employee can login from anywhere that has an Internet connection to access his own records in TimeTec Cloud at www.timeteccloud.com. An administrator needs to do the following steps to allow employee this feature. Login to TimeTec Cloud Account à User module à User Account à Click Edit to make changes to the selected employee à Select Yes under Web Login à Submit to save settings. The System Administrator also can check the last time an employee logged in to his TimeTec Cloud account. Go to User Module à User Account à Last Sign In column. From here you can tell the last sign-in details for audit trail.